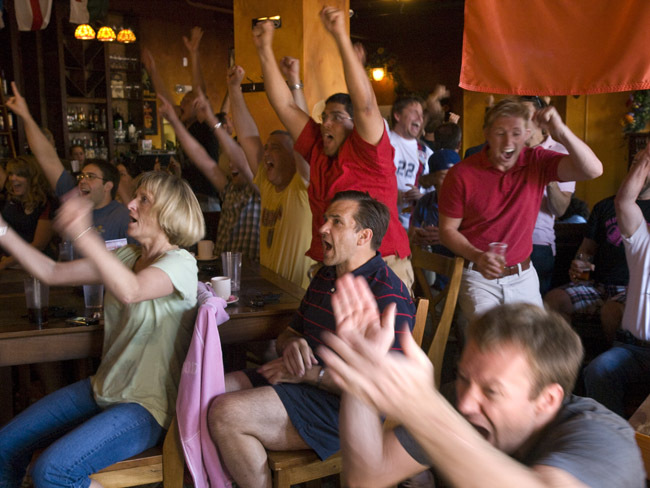 Japan beat the US 3-1 on penalty kicks in the finals of the 2011 FIFA women's World Cup. 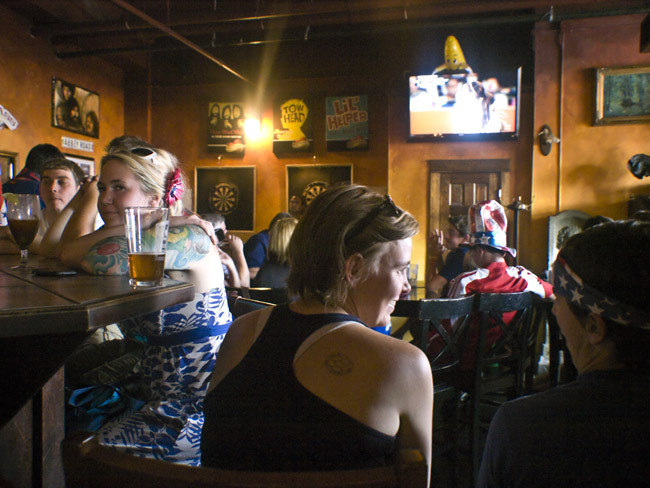 Please join us at the Farmer's Gastropub in downtown Springfield to watch the US vs Japan in the Women's FIFA world cup final. 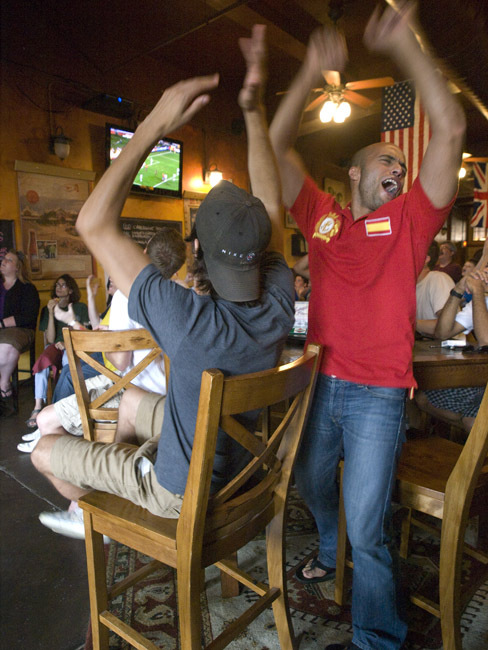 Spain 1 Germany 0, the World Cup at the Farmer's Gastro Pub. Mohamed celebrated a shot goal in the second half. Prints are available to purchase at Global Fayre. 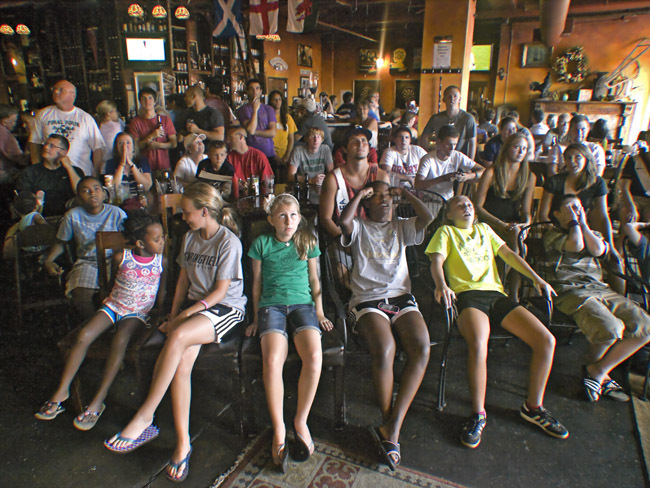 The World Cup continues and the tournament has just begun. Let us celebrate our glorious effort. The best games have not been played yet. 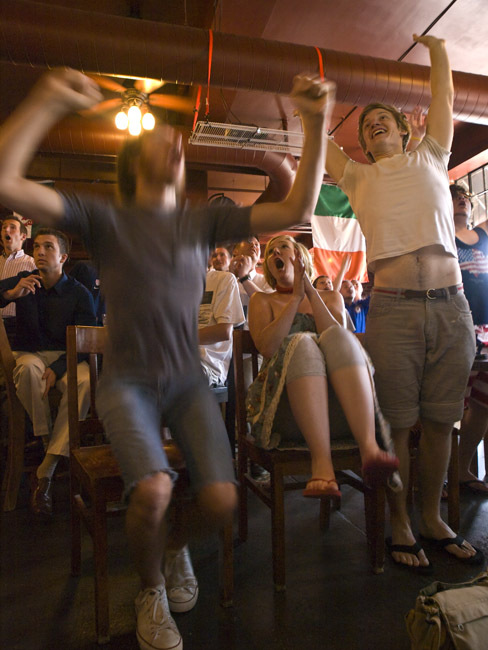 Today we have England vs Germany. 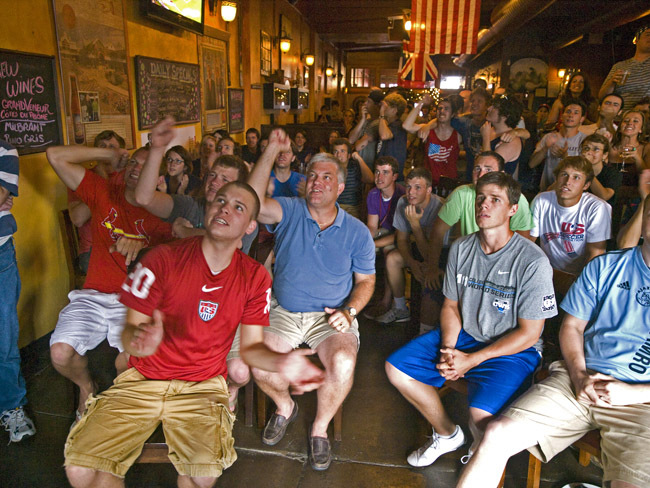 The Farmer's Gastropub was packed and unfortunately the 2010 World Cup is over for us, USA-1 Ghana-2. 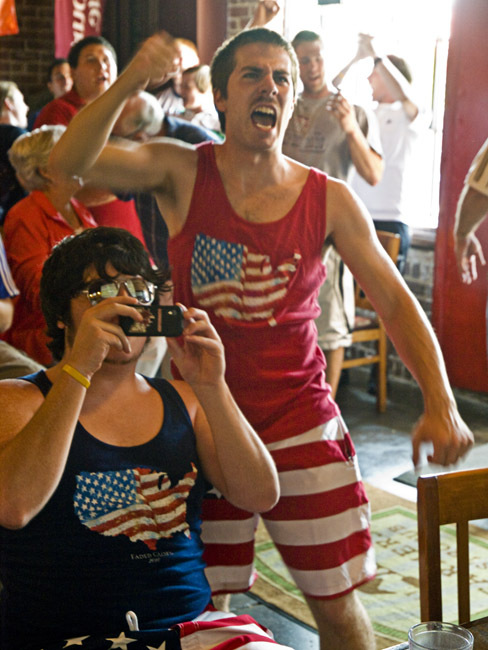 Slovenia 2 USA 2, FIFA World Cup. 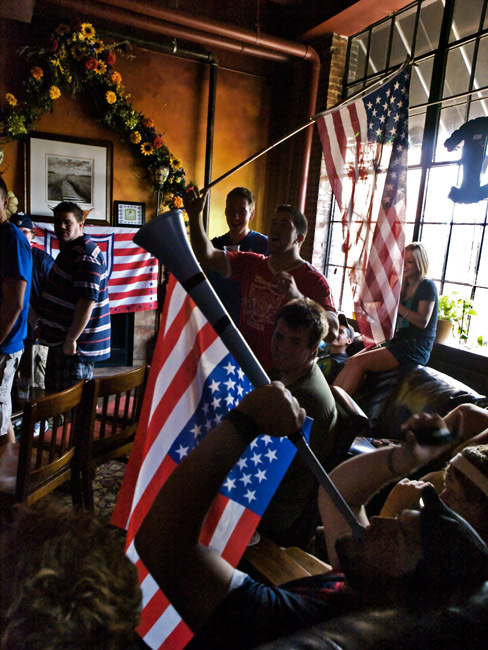 If it wasn't for a last minute foul the US soccer team would have come back to defeat Slovenia after being down 2-0 in the first half. 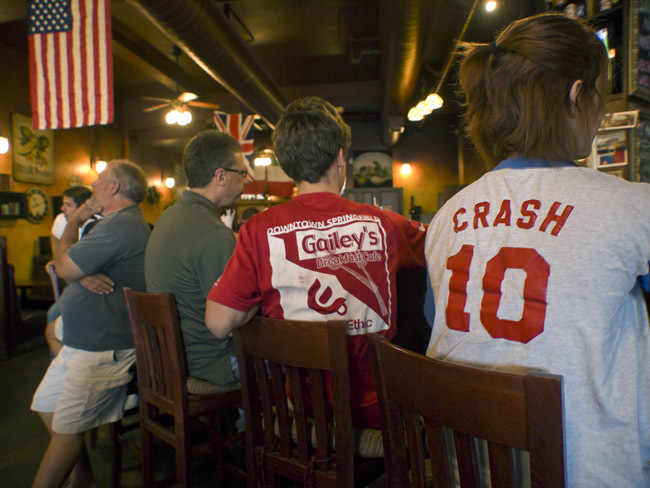 The crowd at the Farmers Gastro Pub in Springfield celebrated the goal but then had to except the tie.